Distributed Denial of Service attack – A large amount of data sent via the internet to either your website, or internet facing company perimeter, with the sole purpose of causing your systems to shut down, due to not being able to handle such large numbers of requests simultaneously. A DDOS attack is often conducted by hundreds or thousands of compromised machines, typically sending data to your website, or network perimeter. These attacks often come from already compromised machines, and run automatically. 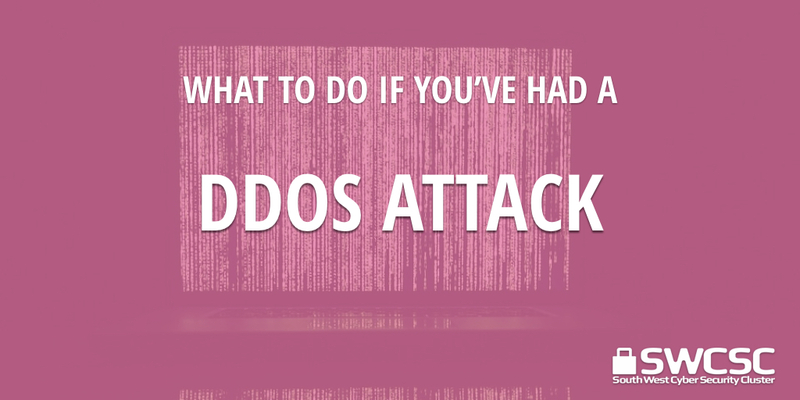 A DDOS attack is quite often the mask or smoke to cover a separate attack on your systems, while you are concentrating your efforts to the DDOS attack. 1. If you manage your website, put it into maintenance mode to prevent any loss of website data, and inform your company management team of the issue. 2. Call your internet service provider (ISP) and tell them that you are under attack. 3. Call any other 3rd party’s that may be responsible for service delivery, or perimeter security management, and let them know that you are under attack. d. Event characteristics, is it late at night, early morning, all day, all night, etc. 5. Monitor all other systems, and be vigilant to any changes that might take place or are put on your systems, during or soon after the DDOS event. 2. Look to mitigate the issue by having in place a temporary site that you can switch to if you find yourself under attack in the future. Consider the likelihood and risks to your organisation of a DDoS attack, and put appropriate threat reduction/ mitigation measures in place.